I received an interesting gift today. 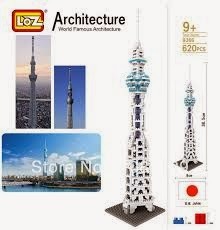 It was the LOZ “Micro Blocks” version of the Tokyo Skytree. There are several things I should say. First off, I have been calling them Micro Blocks, mostly because that is how they are listed on Amazon. However, nowhere on the box is that written. I guess I should call them LOZ Blocks. I liked the way the box opened. It opened like a book. This seems quite comfortable and more useful than the standard Nanoblock box. It isn’t a big thing, but we usually appreciate the little things. Someone is sending me the Nanoblock Tokyo Skytree, and when that happens, I will build it and do a side by side comparison. Until that day, you just have to make do with my impressions of the kit. Of course, if you want to see it, please click on the link to my YouTube video below. I unbox the Skytree and compare some of the blocks. I should probably do a more in depth comparison, but this should be useful in the meantime. The kit has some uniquely shaped pieces that I am interested in. I hope there are extra ones so I can combine them with my stash of leftover Nanoblock pieces. Yes, they are compatible. That was one of the first things I checked. This will definitely be a plus for the creative people out there. I expect there are already some fantastic creations out there. I haven’t worked with the pieces yet, but they seem quite similar in style and quality to Nanoblocks. Once I put this together, I will have a better idea. In my last blog I wrote about the dilemma of choosing between an e-tailer and a retailer. I should let it be known that I purchased my darts from a retail store–a seemingly one person operation. I bought less expensive darts than I planned as a result of talking to this person. Yes, that’s right, he undersold me. I have never had that happen before. I have been thinking of that ever since. Not because people have inundated me with information and “tips” on how to play better darts. In fact, most people have been encouraging rather than discouraging. Nobody has told me what to do. If I want that kind of advice, I am going to have to ask for it. However, the warning still holds true, but it needs to be modified. 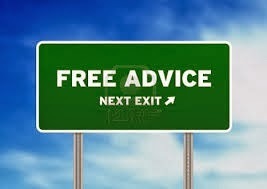 Yes, I am sure lots of people will want to give me advice, but I also bring it upon myself. By joining a darts chat room, I am sure I will get exposed to lots of “expert” opinions. By searching our reviews of product, I will be exposed to lots of “expert” opinions. I can only blame myself. In my other hobbies, much the same thing happens. When I wanted to get into RC cars, lots of people to me what to buy, or at least, what not to buy. They were sure what wasn’t good, but not as clear on what was good. They had a lot of ideas on how I should spend my money. Sadly, very few of them agreed, so I was left with lots of information and little direction. Sometimes these differing opinions are good. It is good to hear the voices that are debating in your head, actually do it live and in front of you. It is so much easier to distinguish the truth from the lies, the plausible from the implausible, and the exaggeration from the cynicism. The dart store owner’s advice is good, but doesn’t help us fight against our nature. We do things that don’t help us because we overestimate the need for information. We seek it out, when we should be seeking out experience. Having watched a lot of shows on the theme of Man Cavesand talked to a lot of guys, I guess there are a lot men who want this kind of room. 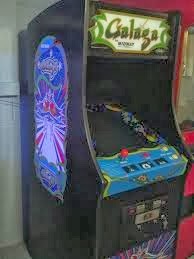 I think, at some I have had visions of pool table, hockey tables, pinball machines and a full standing Galaga machines. Of course, I also need room for the train set. level, I too fall into this category. No doubt, TV has played a lot into this stereotype. TV shows have glorified the Man Caveand raised it to an art form. No longer is the big screen TV and a couple of La-Z- Boys enough. I remember when the pinnacle of a Man Cavewas a bar fridge. Oh how times have changed. Now, you practically have to hire a designer to get things done. You need a theme, hidden sound systems, and fully integrated remote controls. Start budgeting now. What got me thinking of the Man Cavewas my latest obsession. 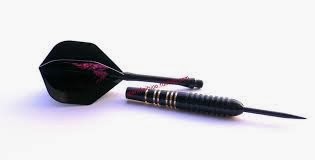 As anyone who ready my last post knows, I have become hooked on darts. Darts require a dartboard and some kind of set up, or at least an inconspicuous wall to hang the dartboard on. It kind of goes with the whole pool table set up. At least, I think so. Of course, I may have been conditioned to think so. 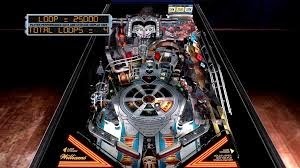 Above I mentioned all the things I would like to have in my Man Cave, but the truth is, it is unlikely to ever happen. I just don’t have the space or the extra money to fulfill this dream. Yes, if I stopped having hobbies and blowing my money on them, I might have the financial wherewithal to fund the Man Cave–but without the interest in hobbies, there really wouldn’t be a need for a Man Cave. There would still be a need for a library full of books, though.